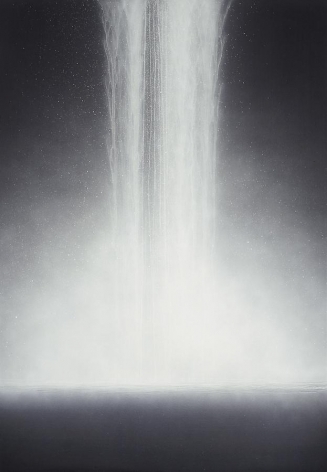 Widely recognized as Japan's most celebrated contemporary artist, Hiroshi Senju is renowned for his paintings of waterfalls. With incredible delicacy, he pours translucent paint onto paper creating the sensation of unrestrained movement. 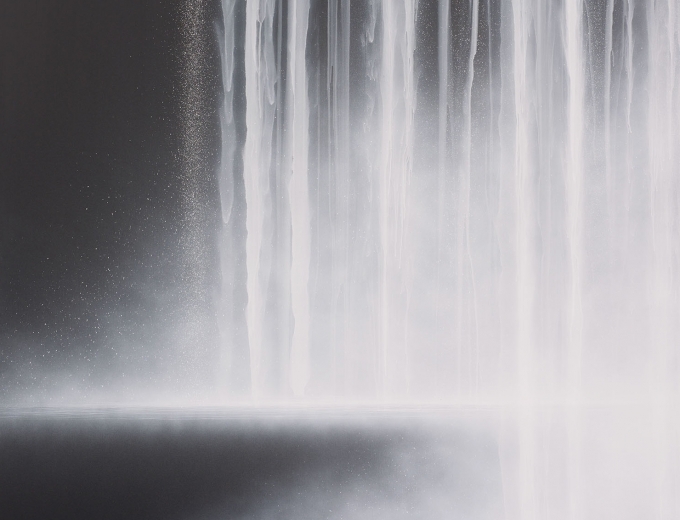 For his first solo show in Hong Kong, Senju has produced a new series of monumental black-and-white waterfalls. 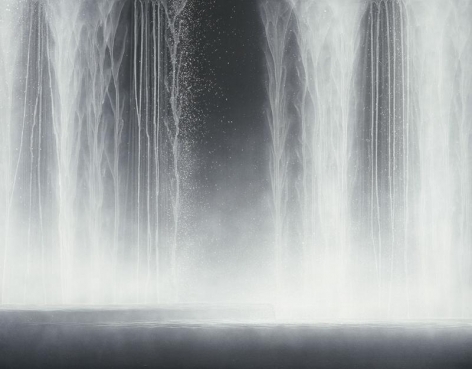 By surrounding viewers with towers of cascading water, Senju transforms the gallery into a sublime environment. Accompanying this series are haunting paintings of canyons and cliffs inspired by Senju's recent journey to the Amazon. While studying waterfalls, he became fascinated by the rock formations beneath the flowing water. 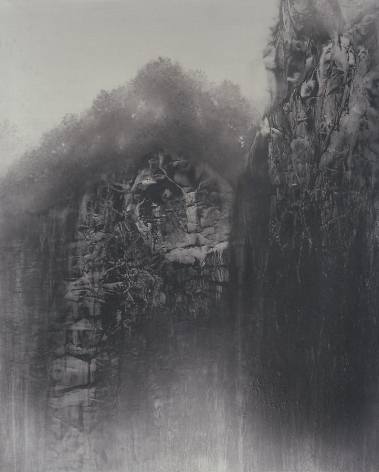 The cliff paintings have never been exhibited and are being unveiled especially for Hong Kong audiences. 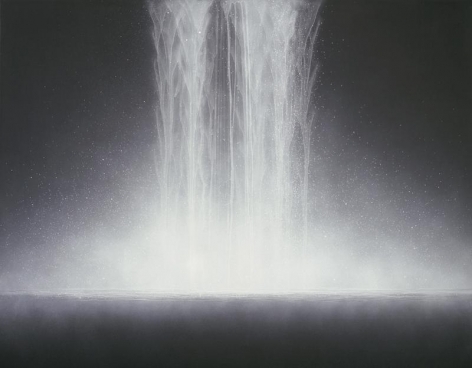 The context for Hiroshi Senju's art is both the history of international modernist abstraction and Japanese landscape tradition and spiritual philosophy. Senju is one of the few modern masters of the thousand-year-old Nihonga style of painting, which emphasizes traditional Japanese techniques and materials. This method involves creating paints by grinding mineral pigments from stone, shell and corals, using an animal- hide binder, and Japanese mulberry paper mounted on board. While firmly rooted in Japanese tradition, Senju's works are wholly modern with a clear link to abstract expressionism and action painting. 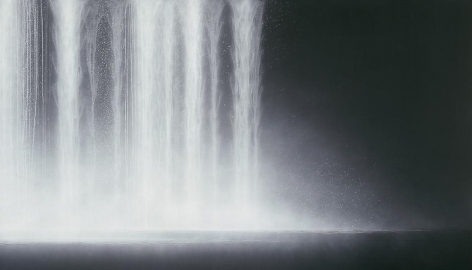 Senju began exploring the waterfall image almost 20 years ago. 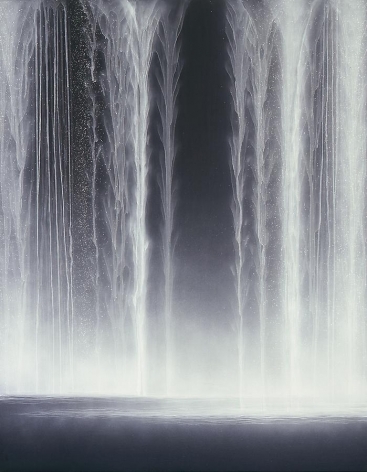 Evoking a deep sense of calm, his waterfalls conjure not just the appearance of rushing water, but also its sound, smell and feel. 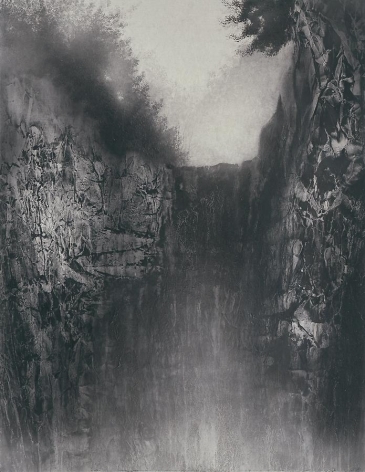 Senju explains: "By pouring paint from top to bottom, I have been painting not the illusion of the waterfall, but creating the waterfall itself." 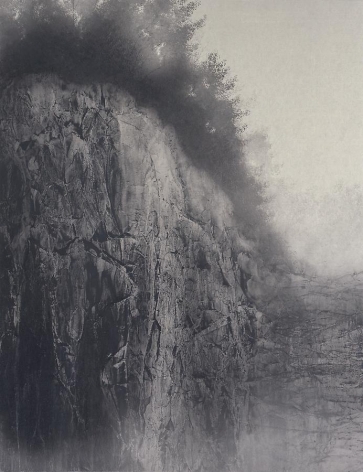 To create his cliff paintings, Senju relies on a similar method of spontaneously pouring mineral pigments onto paper. Th e subtle creases and wrinkles of the paper's surface inspire the composition of the landscape. Senju then carefully applies dark pigments upon a platinum-colored background allowing delicate rivulets of paint to move across the surface. What emerges are ethereal, intricately rendered works that glisten in daylight. 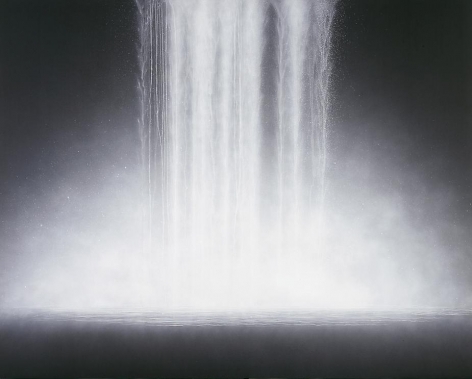 Hiroshi Senju was the first Asian artist to receive an Honorable Mention Award at the Venice Biennale. His work is in the permanent collections of the Museum of Contemporary Art, Los Angeles, California; The Museum of Modern Art, Toyama, Japan; Yamatane Museum of Art, Tokyo, Japan; The Tokyo National University of Fine Arts and Music, Japan; and the Kushiro Art Museum, Hokkaido, Japan. In 2003, he completed 77 murals at the Annex of Daitokuji-Jyukoin, a prominent Zen Buddhist temple in Japan. He has also created a monumental mural for the foyer of the Grand Hyatt Tokyo. The following year, he completed an installation at Tokyo International Haneda Airport's Terminal 2. 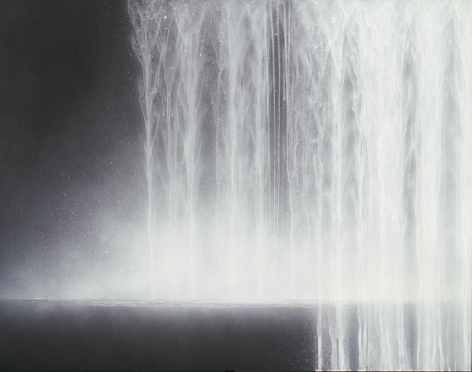 Hiroshi Senju divides his time between New York and Japan, where he is president of the Kyoto University of Art and Design.